Buddhism originated in India, but inspired the world for centuries before the great decline happened, which the Buddha himself predicted during his lifetime as the inevitable consequence of all things that are impermanent. It is debatable how far the Buddha deviated from the tenets of Vedic religion which his parents practiced. However, it is true that his leadership and organizational skills and the dedication of his early disciples played a significant role in the formation and progress of Buddhism in ancient India as a distinct tradition. Buddhism differs from Brahmanism mainly with regard to the nature of soul and creation, but in several other aspects concurs with its doctrines such as karma, rebirth, self-purification, liberation, and renunciation. It is mainly an ascetic or renunciant tradition with few provisions for the lay followers to prepare for monastic life through successive stages of mental preparation and detachment. Find here essays on the philosophy of Buddhism, Buddha's teachings and sermons about the Four Noble Truths, the Eightfold path, important Buddhist concepts such as Anatta and Anicca, and the Buddhist way of life. The Buddha found a very practical and direct approach to resolve the problem of suffering. This section contains information about the life, activities, and teachings of the Buddha from his early days to his last days. Buddhism is essentially an ascetic religion. The Buddha organized the monks into groups so that they could stay together and learn from each other. This section contains information on the Dhamma and Vinaya, the discipline, rules and code of conduct applicable to monks as well as lay Buddhists. This section is about the origin, rise and spread of Buddhism in India as well as in the world, the life and teachings of the Buddha, biographical accounts of important disciples of the Buddha, status of Buddhist nuns, Buddhist councils, history of Buddhist sects, and Buddhist chronologies. This section contains information on the concepts of Buddhism such as anatta or no-self, anicca or impermanence, the stand of Buddhism on God, suffering, transmigration of souls, karma, avijja or ignorance and so on. Also included in the list is a link to the glossary of Buddhist terms. .
Find here informative essays, study guides and practical advice on the practice of Buddhist Dhamma, commonly known as Vinaya to be practiced on the Eightfold Path by both lay Buddhists and monks, and cultivation of virtues and ethical discipline to resolve rebirth and attain Nirvana..
We have included here several essays on the essential beliefs, practices, history, philosophy, techniques and literature of Buddhism, with special emphasis upon the life and teachings of the Buddha, the Four Noble Truths, the Eightfold Path, etc. In its long history, Buddhism suffered from many schisms. This section helps you know the growth and development of important Buddhist schools such as Chinese Buddhism, Mahayana Buddhism, Theravada Buddhism, and Tibetan Buddhism. Know from here objects and subjects of meditation, how to cultivate right attentiveness and right concentration, basic breathing techniques, how to spread good will, understanding the no-self concept, contemplation of death, and more. .
Dhamma is the heart of Buddhism. Know from here the significance of the Four Noble Truths, the Eightfold Path, the Middle Way, the principles of right living, how to achieve Nirvana, and more. Both Hinduism and Buddhism originated in India and coexisted together for a long time. This essay provides a very comprehensive comparative and contrasting account of Hinduism and Buddhism. We have brought to you in this section English translations of several important Buddhist texts, guides, travel accounts, lectures, dhamma talks, history, biographies, Buddhist schools, Zen Buddhism, Sutra literature, etc. .
Our list of books on Buddhism include selected titles on Buddhist philosophy, history, Buddhist schools, life of the Buddha, Buddhist monasteries, meditation practices, literature, and related information. 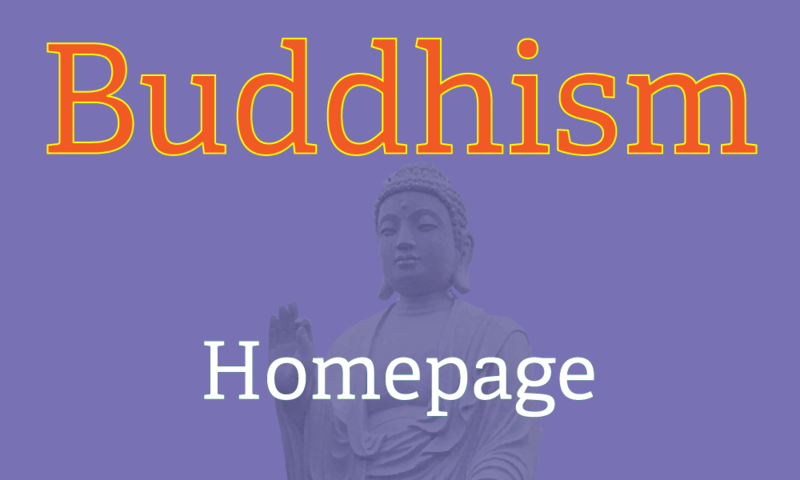 Included here are external links to various aspects of Buddhism, such as the Buddhist Art, Buddhism in the West, ethics and morals, criticism, Buddhist psychology, publications, study guides, and schools. Although Hinduism and Buddhism originated in the Indian subcontinent both are different belief systems, with some similarities. In this essay, we examine the divergent approaches followed in Hinduism and Buddhism with regard to their meditation and contemplative practices to achieve liberation. At one time, during the early Christian era, Buddhism and Jainism attracted widespread following in different parts of India and posed a major challenge to Hinduism. In this essay, we point out the differences and similarities between the two, and why the Buddha preferred the Middle Path rather than an extreme ascetic path.